(Seychelles News Agency) - Seychelles has improved eight places on the global Corruption Perceptions Index for 2018, ranking 28th out of 180 countries, the best performance for the island nation since the Index started in 1995. 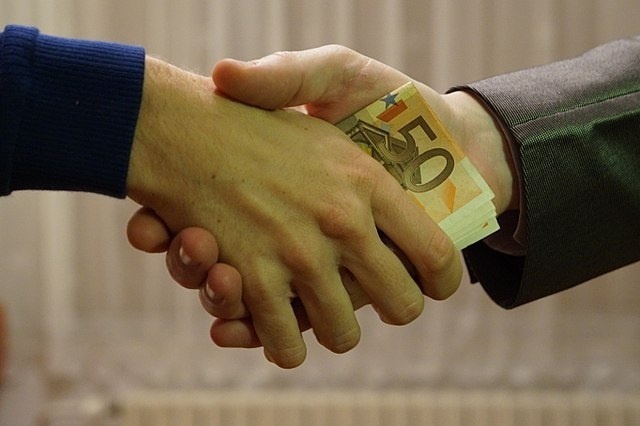 The index, released by Berlin-based Transparency International, measures perception of corruption in the public sector using a scale of 0 to 100, where 0 is highly corrupt and 100 is very clean. The 115-island archipelago in the western Indian Ocean scored 66 points out of 100 on the Index that came out on Tuesday. Seychelles was ranked 36th with a score of 60 out of 100 last year. Seychelles' scores have been measured using data from four separate sources of information -- World Economic Forum, Global Insight Country Risk Rating, Varieties of Democracy (VDEM) Project and the Economist Intelligence Unit Country Risk Rating. “We need to be careful when we look at those indexes. Within context it looks good, but we should also take into account that deterioration occurring around the world might put Seychelles in a better position,” said Chetty. The Transparency Initiative Seychelles is a not for profit organisation launched in 2017 to help fight against corruption and bribery. It is part of the global entity Transparency International. Chetty said that that Seychelles has made a lot of progress. “For example, the government has put in place different mechanism such as the Access to Information Act, the Anti-Corruption Act that has permitted a lot of work to be done, although little result has been produced,” said Chetty, adding that the National Assembly of Seychelles is also playing its role to sensitize the people on corruption. To date, the Anti-Corruption Commission Seychelles has recorded 117 cases of corruption, out of which four cases have been withdrawn before the Attorney-General office to be re-examined. Recently, the Seychelles’ Supreme Court sentenced the former Complaints and Communications Manager of the Anti-Corruption Commission, Abison De Giorgio, to eight years imprisonment and a fine of $5,000 (SCR75, 000). De Giorgio, who was on remand since February last year, was found guilty on three different counts of corruption: extortion, disclosing sensitive information and corruptly soliciting gratification in exchange for delaying an ongoing investigation on former minister Dolor Ernesta. In another development, the Police have reported that they have received correspondence and written documents from the Ministry of Finance, Trade, Investment and Economic Planning Finance Department to initiate an official investigation and press relevant charges against the ex- Small Business Finance Agency. SBFA has acted as a money channelling agency since its creation though it was created to encourage the growth of small enterprises. It was meant to provide concessionary loans to small businesses. Looking in the future Chetty said that Seychelles needs to think on establishing an Independent Public Service Commission. “This will mean that people in government will be governed by a commission rather than a government which can be replaced anytime. This will ensure that when another government comes in people are not removed on political motives or appointed on political motives,” said Chetty. The index highlights that more than two-thirds of countries score below 50, with an average score of only 43. Since 2012, only 20 countries have significantly improved their scores, including Argentina and Côte D’Ivoire, and 16 have significantly declined, including, Australia, Chile and Malta. Denmark and New Zealand top the Index with 88 and 87 points, respectively. Somalia, South Sudan, and Syria are at the bottom of the index, with 10, 13 and 13 points, respectively. The highest scoring region is Western Europe and the European Union, with an average score of 66, while the lowest scoring regions are Sub-Saharan Africa with an average score of 32 and Eastern Europe and Central Asia with an average score of 35.